As a child, I loved watching Christmas movies, every weekend during December there was tons of new movies to watch. Sometimes I even got to see my favorites more than once. 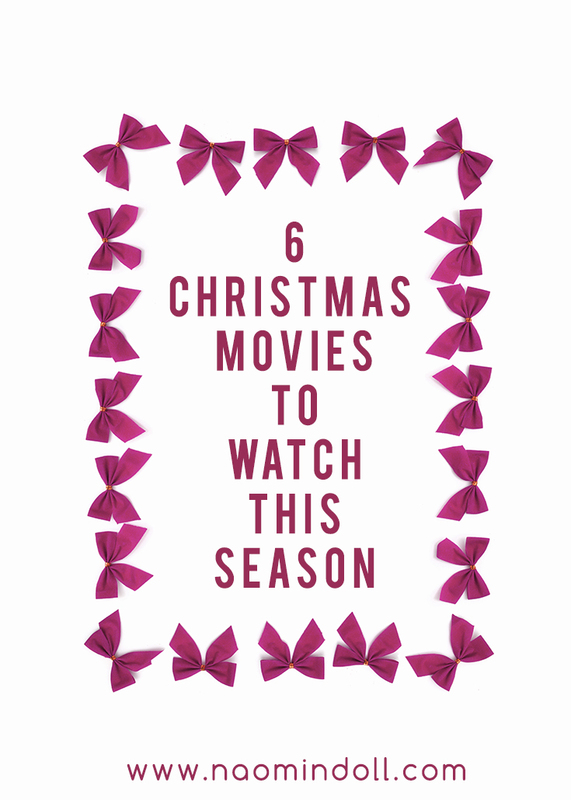 If you’re lacking in Christmas spirit this year and I want to restore it, why not check out some Christmas movies? I tried to pick a mixture of a live action and animated movies for you lovelies. But I’m not going to lie, I’m a big cartoon fan, so it was a bit tough not to fill the list with them. I’ll probably make a post just of Christmas cartoon movies and specials. But for now, check out this Christmas movie list I’ve made, and checked twice. If you read my Christmas tag post (which you should, and do the tag too), you’ll know my absolute favorite Christmas movie is the Grinch. This is the live action adaption of the popular Dr. Seuss Christmas tale. I watched this movie for the first time when it premiered in 2000 and I fell in love. Ever since it started airing on television, I watched this movie every year during Christmas. As an adult, I watch it as many as three times during the Christmas season. I’ve only watched this a couple times and it’s honestly such a silly movie. But in a good way! You’re sure to get some laughs and finish the movie with a grin on your face. My boyfriend swears by this movie, (to the point of watching it once a month). Okay he’s a bit obsessed, and with good reason! If you’re like me and still watch cartoons, or at least have a soft spot for them then this is for you. I remember watching this on ABC as a kid on the first Friday of December, every year. This is another one of my Christmas staples that just doesn’t grow old for me. And if you have kids, you can introduce to a movie from your youth! Another Christmas movie targeted towards Children that I just love. If you know how the song, then you might also be acquainted with this stop-motion animation. This movie is a very interesting take on Rudolph. What with the misfit toys and the elf who would rather go into dentistry. There’s a reason why CBS has been airing this special since 1972. Another ABC favorite of mine growing up as a child. This tells the story of a dad, who causes Santa to fall off the roof of his house and disappear. As a result of a clause (putting on Santa’s suit and riding his sleigh), the dad now becomes to new Santa Claus. He then has to convince his family and loved ones that he is indeed ol’ Saint Nick. Honestly, I haven’t watched the move in years, but I still have very fond memories of it. A movie beloved by many and won many awards, and with good reason. If you don’t mind it being in black and white, I highly recommend it. Based on a story, it depicts the impact that a Macy’s Santa Claus has on the people around him. It’s a very heart-warming film that may even have you believing in Santa yourself. So this is my list, what do you think? Are there any Christmas films that you’d like to recommend? If you do, just leave it in the comment section below. I can’t wait to read your lovely responses as I’m always on the look out for new seasonal films. Ah, four of my favorites here. I admit that I’ve never seen Elf or The Santa Clause – neither has ever held my interest in the first few minutes enough to make me keep watching. Maybe I’ll check them out. We love the old Rankin-Bass specials – all of them. The Little Drummer Boy is my daughter’s favorite. Oh yes the Little Drummer Boy is another that I enjoy. It really is a great way to bond. Thanks for sharing! I still have not seen Miracle on 34th street. I should look for it on Netflix this season. Glad you enjoyed it. If you do, definitely let me know if you end up liking it. Honestly it’s not for everyone lol. My bf has basically annoyed all his close friends by getting them to watch it with him once a month haha. Definitely going to check out your post. Good list. Just saw Elf for the first time and wasn’t too impressed, my three year old even less lol. Another of my Christmas faves is White Christmas. Yeah I find it’s a big toss up for people. I find it hilarious your three year old isn’t here for it. He was probably like “mommy what is this. What have you subjected me to” lol. I haven’t watched it, but I’ll definitely check out White Christmas. Yes, my cousin loves it and thought we would too. My daughter kept saying “this is not funny!” It was the funniest thing. I could imagine, that is funny lol. We love watching Christmas movies. There are so many great ones out there, many of which you have on your list. I love the month of December and getting to watch so many of these with my kids! Same here. I’m a big cheeseball when it cmes to watching Christmas movies. And it’s always nice to watch them with loved ones. I loved the Grinch and Rudolph growing up. My husband is a big fan of Christmas Vacation. I already watched the Grinch last weekend and I’m like should I watch it again. Oh I’ve never heard of that one before, will definitely add it to my “to watch” list. Glad to see I am not the only one excited about the holidays. I love the food, the movies and quality time with family. Oh my gawd, don’t get me started on the food. So many bloggers are sharing their recipes and I’m drooling haha. You have a great list of Christmas movies! I love them all! I love to give some love to the historic classsics. Tis the season to turn on Rudolph, the Grinch, Frosty, and of course Charlie brown. The amazing list can go on! Elf and The Santa Claus are my two favorites! Another good one is It’s A Wonderful Life…ahhh, I just really want to watch Christmas movies now! Haha, you’ve caught the Christmas movie bug! I love Christmas movies. Elf is a must! I think we’ll be watching it Friday. Great list!! I actually just watched The Grinch on Sunday and Elf is something I watch multiple times during the holidays as well lol. Another favorite of mine is It’s A Wonderful Life! I happened to watch the Grinch on Friday, and I think I might alternate with the original version. Thank you for the recommendation. Will definitely check it out! 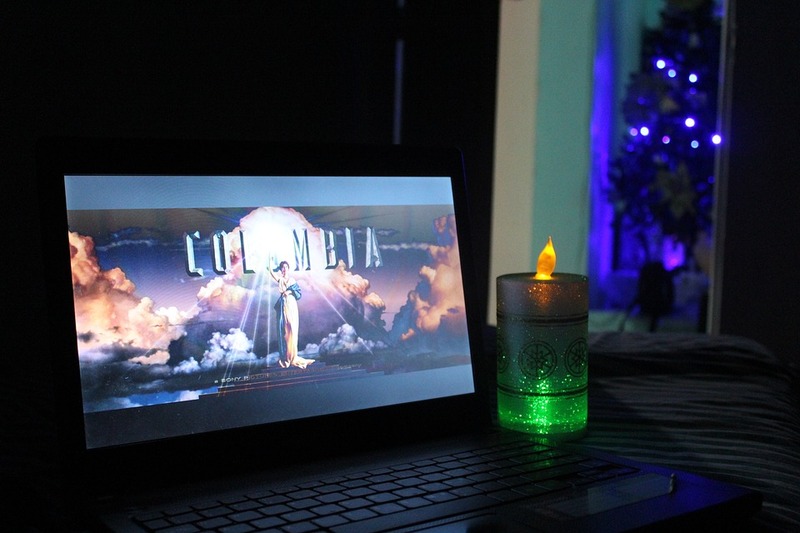 Christmas movies are one of the things that I look forward to during this Season! Thanks for this awesome list! Elf is perfect if you’re feeling a little down during the holidays! It’s definitely one of the movies that I enjoy watching during this time of the year! Miracle on 34th Street is one of my absolute favourite christmas movies and it will get watched this weekend. I definitely need to watch it before the week is out! I think it’s gonna be fun! This is good for christmas celebration with my family. Thanks for your movie list. Very true, I just love to sit down with mine and enjoy the movies. I’m glad you enjoyed the list. Oh wow. You got all my favorites in your list! I will never grow tired of watching these movies year after year. They are classics! It’s so true, they never get old! it’s not christmas for me without ‘The Christmas Story’. Can”t believe it’s not on the list! I’ve actually never watched that one before 😮 But I will definitely add it to my must watch this season. Great list of movies!!! Elf is a favorite of mine!!! Haha then my boyfriend is definitely not alone like he thought that he was. Great list! I’m happy to say I love all of these! So true, Charlie Brown is like historic to me.